According to Italian law every company has to provide an official registered office, keep company books and official documents. This is the minimum requirement for a company registration. Besides the legal aspects of having a representation in Italy, dealing with clients in Italy may require you to have a place where you can accommodate or meet your clients and present yourself or your company in a professional way. We can offer an ideal and flexible solution to meet all these requirements according to your individual needs and budget. No long-term lease, no full-time administrative staff costs and no need to buy expensive real estate – just ready-to-use office solutions when you need them. We can sort out your office facilities so you can focus on developing your business! Please click on the tabs below for further details and assistance. According to Italian law every company has to provide an official registered address where company books and official documents are kept. This is the address where your company will be registered. We offer prestigious addresses in the centre of Milan and Rome, to represent your company in a professional way. 1st Year FREE Company bookkeeping! Call us now for your FREE consultation OR alternatively complete the enquiry form below an a member of our team will revert back to you shortly. A Virtual Office is an ideal solution for start-ups, small and home based businesses looking for a professional image and supporting services and on limited budgets. Additionally, a Virtual Office enables growing companies to establish themselves on the Italian market with the opportunity to expand once established. As part of the virtual office fee, Start up in Italy will provide you with a live Italian answering service, an Italian telephone and fax number.. If you are looking for a long term contract on the virtual office service, we can provide you with a competitive quote. For those businesses looking for a short term contract prior to transferring to a serviced office facility we can accommodate you, please call us for all options. 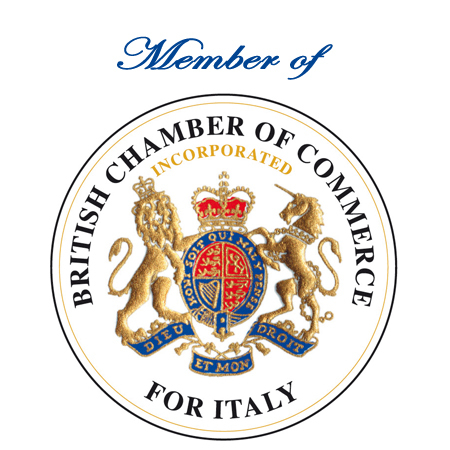 Mail forwarding – to assist you with your commercial presence in Italy. Besides the basic registered office or virtual office package, a serviced office is a professional solution if you are in search of a fully furnished room with facilities in prestigious locations throughout Italy. Companies In Italy can offer you an office with receptionist, internet, telephone and office furniture to serve all your requirements. We will need to know the number of workstations for the office you wish to rent and what location you are looking for. Once we have this information we can offer you a serviced office that fits your requirement and budget. Due to the nature of this bespoke service, we will need to have more detailed information relating to where you wish to be located and what your short term and long term plans are for staff so that we can find something for you. Our portfolio of offices include a space strategically positioned in the centre of Milan, in a building assigned to office use, excellently served by public transport so you can conveniently reach either the centre of the city, the outskirts and Milan's numerous airports. We can also provide office facilities in other regions of Italy if you are looking outside of Milan to register your company, Call us now for your FREE consultation OR alternatively complete the enquiry form below an a member of our team will revert back to you shortly. Communication is the key to finding out more about your individual options. Complete your enquiry below and one of our staff will revert back to you shortly. Alternatively you can speak directly with our experts via Phone, Skype or Live chat. With us you will have no long-term lease, no full-time administrative staff costs and no need to buy expensive real estate – just ready-to-use Office Solutions when you need it. As simple as that! Call or email us now for your FREE consultation.